Cushing's disease is a condition in which the adrenal glands overproduce certain hormones. The medical term for this disease is hyperadrenocorticism. The adrenal glands produce several vital substances, which regulate a variety of body functions and are necessary to sustain life. The most widely known of these substances is cortisol, commonly known as cortisone. Decreased or excessive production of these substances, especially cortisol, may be life-threatening. How does cushings disease occur? There are three mechanisms by which this disease can occur. Regardless of the cause, the clinical signs are essentially the same. It is important to identify the type of Cushing's disease because the various forms are treated differently and each has a different prognosis. The most common cause of Cushing's disease (85% of all cases) is a tumour of the pituitary gland. The tumour may be either benign or malignant and it causes the pituitary to overproduce a hormone that stimulates the adrenal glands to produce cortisol. The tumour may be microscopic or large. Depending on the size of the tumor, clinical signs other than Cushing's disease may be present. Generally, if the activity of the adrenal gland can be controlled, many dogs with this form of Cushing's disease can live normal lives for many years, as long as they take their medication and stay under close medical supervision. Growth of the pituitary tumour would give the patient a less favorable prognosis. Cushing's disease may be the result of a benign or malignant tumour of the adrenal gland. If the tumour has not spread into surrounding structures or other organs, then it may be possible to surgically remove the tumour (along with the adrenal gland) and cure the disease. If the tumour has already spread then surgery may not be possible and the prognosis is less favourable. Iatrogenic Cushing's disease means that the excess of cortisol has resulted from excessive administration of a glucocorticoid. This may occur from oral or injectable medications. Although the injections or tablets were given for an appropriate medical reason, their use is now detrimental. The most common clinical signs associated with Cushing's disease are an increase in appetite, water consumption, and urination. Lethargy, or lack of activity, and a poor hair coat are also common. Many of these dogs develop a bloated or "pot-bellied" appearance to their abdomen due to an increase of fat within the abdominal organs and a stretching of the abdominal wall as the organs get heavier. The pot-bellied appearance also develops because the muscles of the abdominal wall become weaker. Panting and increased appetite are other common findings with this disease. How is Cushing's disease diagnosed? Hyperadrenocorticism can be a challenging and somewhat expensive disease to diagnose and confirm. 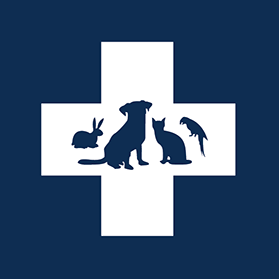 However, the testing process is crucial to determine the best treatment options and prognosis for your pet. The two most common tests to detect Cushing's disease are the ACTH Stimulation Test and the Low-Dose Dexamethasone Suppression (LDDS) test. Other tests may be needed to determine which form of the disease is present. Endogenous ACTH levels, High-dose Dexamethasone Suppression (HDDS) test, urine cortisol: creatinine ratio, and 17-hydroxyprogesterone response to ACTH administration tests may also be recommended. An abdominal ultrasound examination may also be a valuable part of the diagnostic process. In itself an ultrasound will not be able to determine if a patient has Cushing's disease, but it will permit the visualisation of the adrenal glands. This can then help determine their size, the presence of any unusual tissue and enable an ultrasound guided biopsy to be performed to determine if the tissue is cancerous. Treatment of this form requires a discontinuation of the corticosteroid that is being given. This must be done in a controlled manner so that complications associated with the discontinuation of the medication do not occur. Unfortunately, it usually results in a recurrence of the disease that was being treated by the corticosteroid. Because there may have been adverse effects on the adrenal glands, treatment in the form of medication may also be needed. Treatment of an adrenal tumour requires major abdominal surgery. Although this is a high risk surgery, if successful and the tumor is not malignant, there is a good chance that the dog will regain normal health. If surgery is not an option, some of these patients can be managed with medication, as discussed below. Treatment of the pituitary-induced form of Cushing's disease is the most complicated. There are two drugs used in Australia: Lysodren and Trilostane. Lysodren is the primary drug used to destroy the abnormal adrenal gland tissue. Lysodren is also known as mitotane or o,p'-DDD. If too little of the drug is used, the abnormal adrenal tissue persists and the disease continues. If too much is used, most or all of the adrenal cortex will be destroyed, which can be life-threatening and result in reduced hormone production by the adrenal glands. This condition is known as Addison's disease or hypoadrenocorticism. Therefore, careful monitoring of the dog is necessary in order to achieve good results. Because the pituitary is not being affected by the treatment, it continues to stimulate the adrenal gland. This means that lifelong treatment is necessary. Trilostane is a synthetic steroid analogue that works by reducing the production of cortisol levels. It currently needs to be imported from the UK and requires daily or twice daily dosing for life. It can therefore be cost prohibitive. Although a cure is not achieved with either treatment, control is possible for many years if the tumour is small. If the tumour is large, local effects of the tumour invading surrounding tissues in the brain can be the limiting factor in quality of life.